In What Is Good Hair? 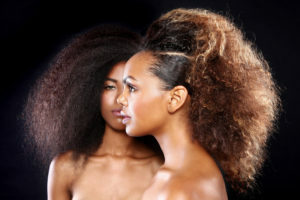 Part 2, short film producer Kashif Boothe ask women “What are the advantages and disadvantages of curly hair? 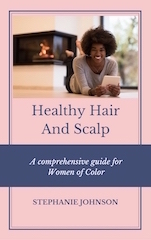 A continuation of part 1, women discuss the texture of curly hair and the time that goes into caring for it. A few times I’ve tried going “natural” and wearing my hair without chemical assistance. For me, it was not necessarily the time it took to do my hair in the morning, but the fact that I needed to dampen it every day to mold it back into shape after a night of sleeping on it. When I would wake in the morning, my hair would be smashed going in all kinds of directions, and the only way I could move it into a decent shape was to dampen it with liquid. That way was fine in the summer, but as soon as the fall started to come in and the weather breaks, it’s not the best idea to leave the house with damp hair, especially when it’s short and close to the scalp. I went through going from relaxer to natural hair a few times over the years, but having my hair relaxed is the easiest for me. Some may say I’m giving into a European look and don’t want to deal with the stigma that goes along with women of color wearing their natural hair, but I don’t think so. I don’t work in the corporate world, so I don’t have to deal with people who may not think natural hair on women of color is professional. In fact, I work with nothing but women of color. I just like the ease and convenience of a relaxer. What type of hairstyle is easiest for you? Take a look at Part 2 below and tell me what you think. The conclusion of the 3 part series next week. the video is great. Although It is particularly targeted for women, I can learn so much from it. I have been growing a long hair from the past 6 months.